I know, I know, I’m so slow at getting updates on the blog lately. I’ve been so focused on building my newly minted Vlog, that the blog has been a bit of a time crunch victim. But, alas, here I am with an update. 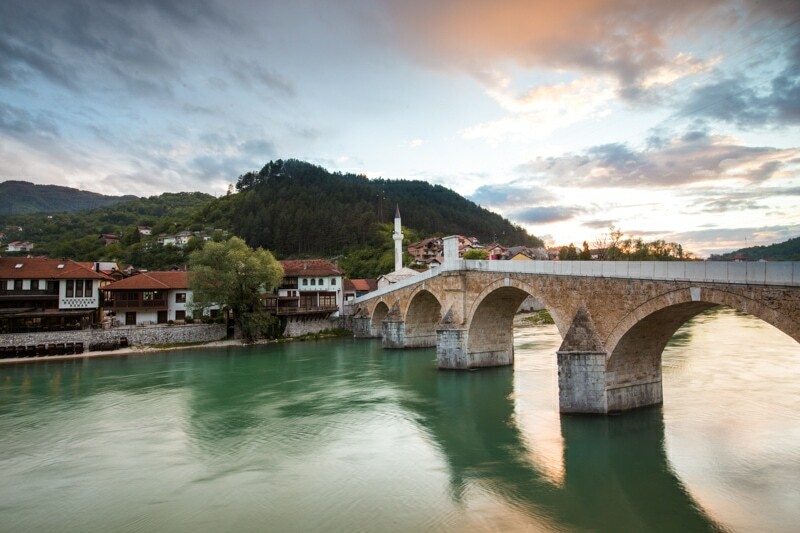 I spent a couple days in Bosnia & Herzegovina, which is a country I’ve only spent a very small amount of time in. The goal of this trip was to join a buddy who founded an NGO building, and promoting a trail called the Via Dinarica. We set out for 2 days to do some location scouting along the Via Dinarica to try to find some of the most epic photo spots, and maybe toss around ideas for ways to promote it. I’m not going to get into too much detail, because I talked about it on my last trip to Bosnia. 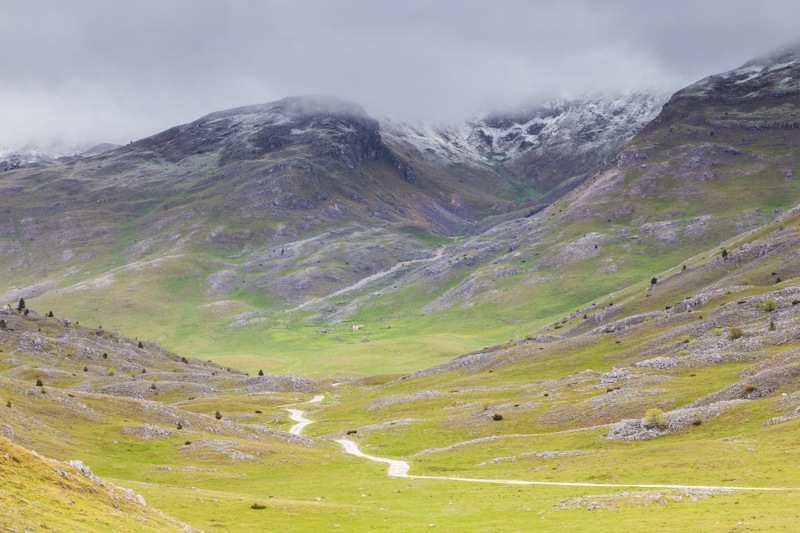 But, essentially, it is a mega-trail that spans all the way across the former Yugoslavia. 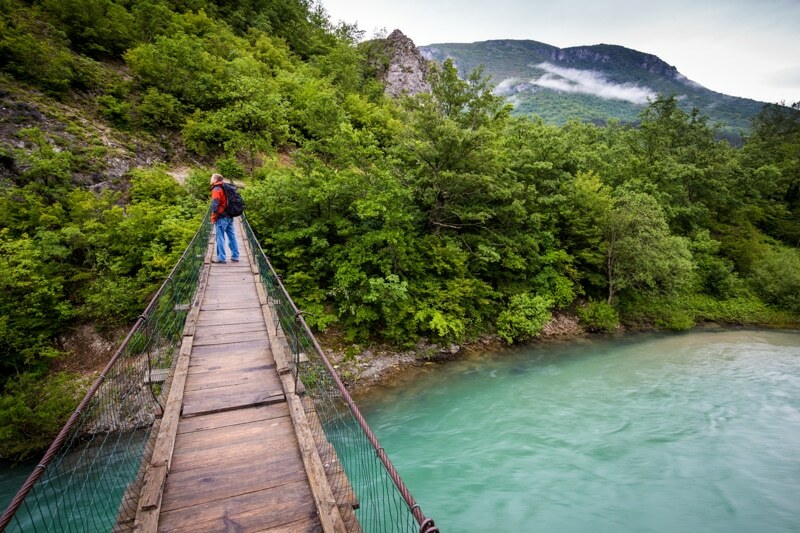 The trails start in Slovenia, and stretch all the way to Albania and Kosovo. In reality, there are 3 trails. 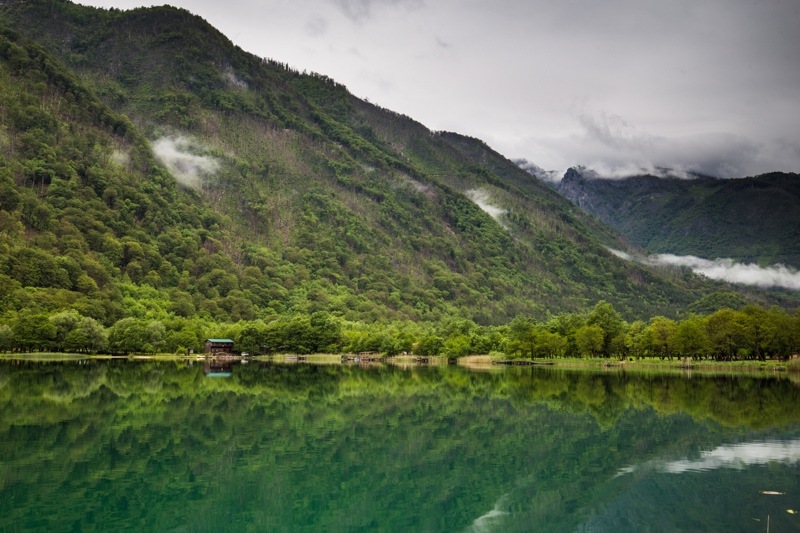 The blue trail follows the coast, the green trail cuts through the forests, and the incredible white trail follows the highest peaks of the Dinaric Alps. My buddy Tim’s organization has been working to build sign posts on the trail, get communities engaged in tourism opportunities like accommodation and restaurants, and mapping things out in various apps. It’s a pretty incredible project, and seeing the progress from this year to my last visit has been amazing. One of the locations we came to on the trail was a village called Lukomir. 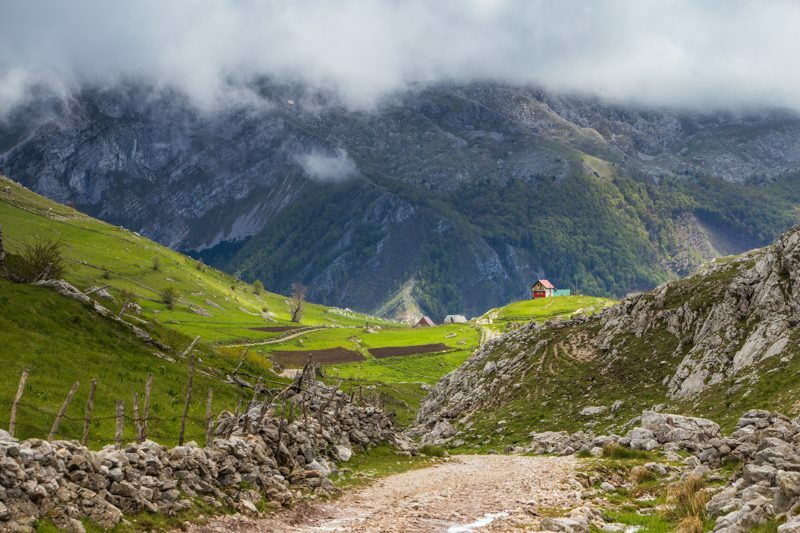 This is the most remote village in Bosnia. In fact, during the snowy months of winter, the village is completely inaccessible. 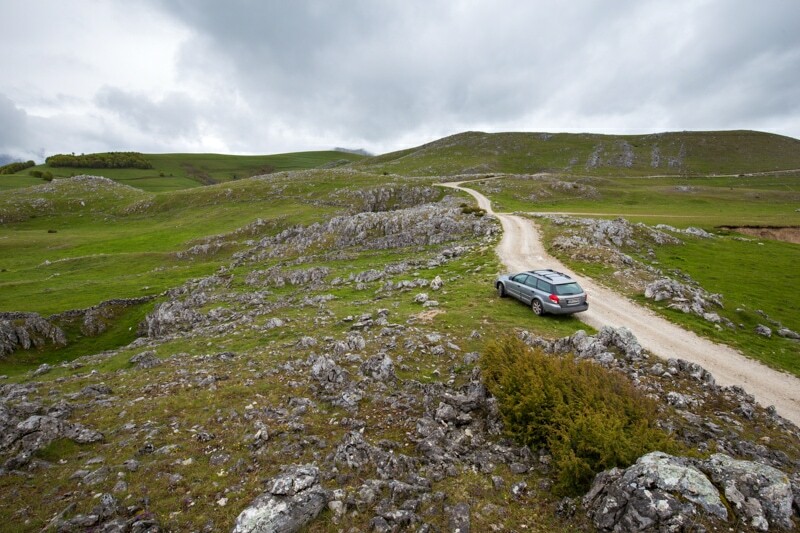 Lukomir’s location – along the white trail – is absolutely epic. The old village sits right on the edge of one of the most dramatic canyons in all of Europe. 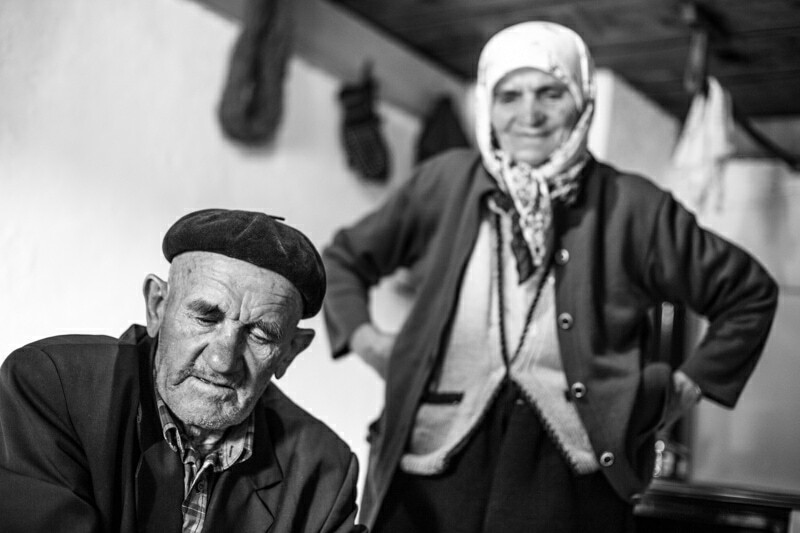 Everybody in Lukomir knows Tim, and we spent some time with an older couple who are like his Bosnian grandparents. They were incredible sweet, and it was fantastic to have a bit of a cultural interaction like that – something that’s so hard to find in modern day Europe. A couple other amazing spots on the Via Dinarica we went to were Boracko Lake and Kravice Falls. Though the weather was terrible when we got to Boracko, the spot is beautiful. There were lingering clouds, and stunning reflections on the lake. With the weather cold, we started our day off with a shot of Rakia and then continued on. Clouds lingering over the lake. The weather cleared up as we got close to the Croatian border and Kravice Falls. 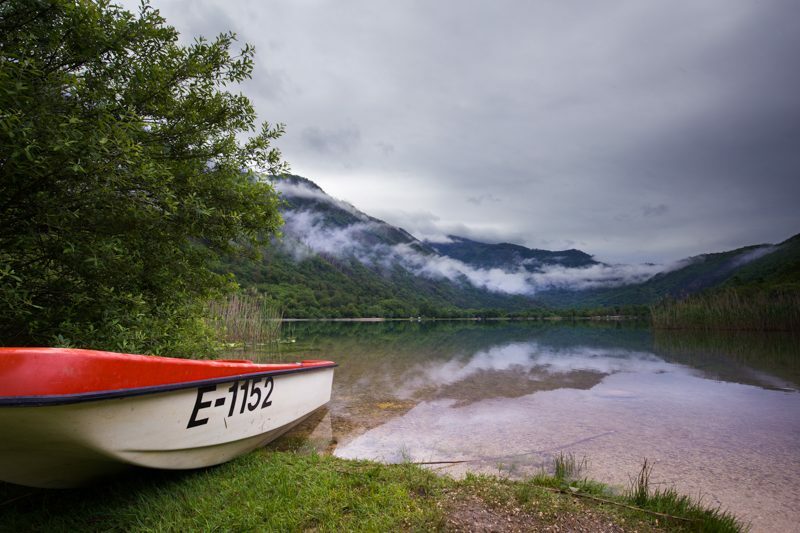 Know, almost everyone has heard of Plitvice Lakes. But, what many don’t know is that there are blue-teal waterfalls like Plitcive all over the region. 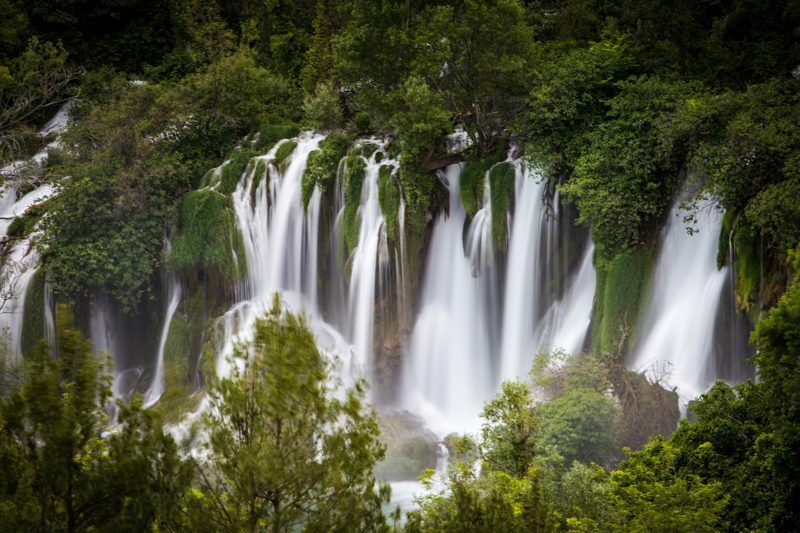 Kravice Falls are just another example. These beautiful falls seem to just tumble right through the forest. And well I imagine this is a great place to shoot photography most of the year, the waters were so high that it was a challenge to properly shoot. Kravice Falls tumbling through the forest. There were loads of great places to shoot photography along the Via Dinarica. In just 2 days, and exploring but a tiny section of the trail, we came across an almost never ending supply of photo-worthy spots. These are a few more of those locations. 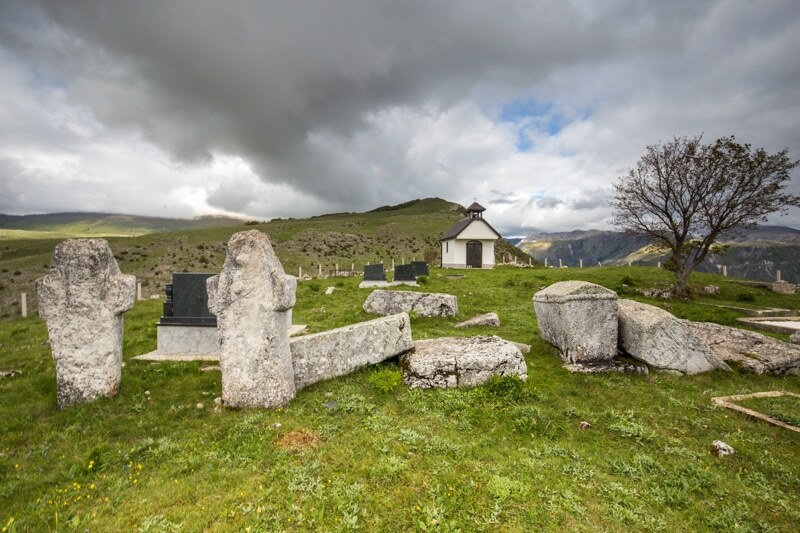 The remains of an abandoned Christian/Serb settlement in central Bosnia. Tim wandering across a bright blue river. If you’ve been following the Vlog, you already know what’s been happening in my life. There’s been a lot of changes. I’ve been all over Europe lately: Croatia, Venice, Paris, and now Portugal. Oh, and I met a girl. The next blog, when I get around to it, will come from the beautiful city of Rovinj, Croatia which was just a stunner and the perfect place to base myself for a week.